Back in the day, The Beatles sang about still loving each other when they were 64. It’s an adorable, catchy song, but the reality is different. When you are young, you can’t possibly imagine being old. Your skin is impossibly soft and supple, your face unlined and unwrinkled. But it goes fast. So cute, right? What struck me most about the video was the laughter. When you are in your 20s, you really do believe you will be young forever. But as someone currently in their late 30s who has now been with my husband for 15+ years, I am amazed by how fast it’s gone. Neither of us is “old,” per se. But we aren’t impossibly young anymore. I have had three children and my body and face look different than they did back when we got together at 23. He is balder and we both have a little extra weight and some lines on our faces. The difference between us and them, though, is it happened over time. 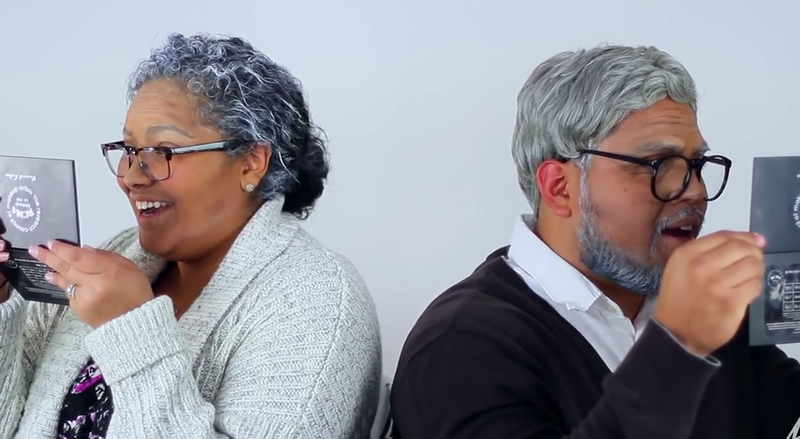 These couples are looking at one another as old as comical. I just feel amazed that it is happening. It’s purely cosmetic for them. But it is something else for us. Watching the person you love age isn’t really the point. The love just becomes so much richer. So, sure we look older. But we also are older. For better or worse. We think differently. We love differently. We count time differently. I no longer take “forever” for granted. This video is adorable and I have no doubt these couples are capable of long-term love. But it is so much richer than the lines on your faces and the grays in your hair. May we all be so lucky to grow old together and get to see the wisdom in each other’s eyes.